If you’re missing teeth and quality is important to you, then you’ll want to know about dental implants. In recent years, dental implants have become the preeminent treatment for replacing missing teeth, and with good reason. Other restorative treatments simply can’t compare to the benefits provided by dental implants. If you’re curious about this life-changing procedure, find out more in a consultation with Dr. Chaudhry. For those with missing teeth, the other common restorations aside from implants are dentures and dental bridges. While both are popular and viable for those who qualify, they don’t last as long as dental implants, and don’t have the same look or durability. 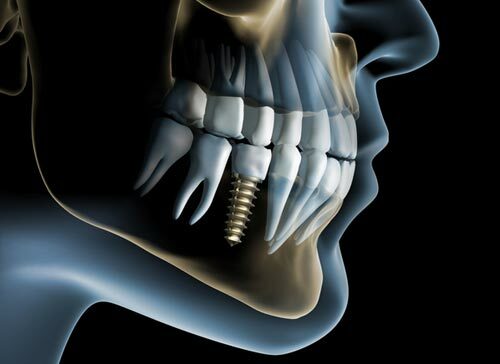 Most importantly, dental implants are the only restoration that prevents the jawbone from shrinking over time. This means that dental implants play a major role in preserving your appearance, along with providing a host of other benefits. Ready to Replace Your Teeth With Dental Implants? Dental implants are rapidly becoming the most popular restoration. When patients hear about their success rate of over 95% and their ability to keep the jawbone from shrinking, they really start having a lot of questions. The pages on this site will answer many of the questions you have about his remarkable procedure. Are you currently residing in the Bethlehem, PA area and are suffering from the effects of missing teeth? Then look no further than dental implants for your tooth restoration treatment. If you would like to learn more about this revolutionary treatment, we encourage you to contact our office and schedule a no-obligation consultation with Dr. Ahmad Chaudhry today.